In his education session at the 2014 Car Wash show 1st of April in Chicago, Social Media and Google SEO expert Patrick O’Malley gave an overview of how many different social media tools can work for carwashes. What this means is when people search for your wash, they are going to see what Yelp users say about it, and if those reviews aren’t positive, they may not consider visiting. If a customer notices a negative review of your business, and decides not to go because of it, O’Malley warns that the customer is unlikely to ever give your wash a chance. With many washes cleaning over 100,000 cars a year, and having fewer than 10 Yelp reviews, O’Malley said the percentage of wash customers who fill out a Yelp review is surprisingly low. However, those eight people who filled out reviews of your business are the ones speaking for everyone who searches the name of your wash online. If your wash is doing a good job, you’re going to want more reviews, so the rest of your potential audience knows how effective your wash is as well. After all, there’s a big difference between a business that has 2 stars, and a business that has 4 stars, which O’Malley said is the “sweet spot” where customers begin to trust your business is high quality. 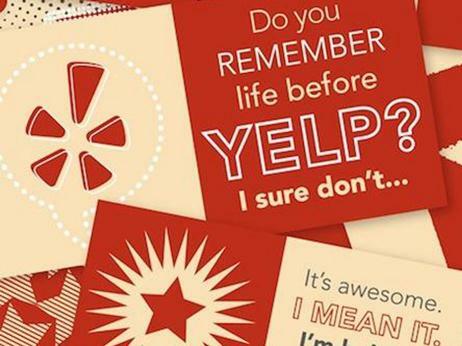 Yelp discourages that businesses ask for reviews. O’Malley doesn’t encourage breaking Yelp’s rules, but he does believe you should increase your customers’ awareness about the website by doing things like putting a sign at the entrance and the end of the carwash to make Yelp something they think about. “You should have something at the entrance or a piece of paper that you give to your customer,” he said. He added that you should mention Yelp to your customers in as many ways as possible if you want them to fill out a review. Giving customers coupons with a Yelp logo on them reminding the customer the wash is on Yelp is another way to increase engagement. Yelp also has recommendations on how to remind customers to review your business. O’Malley added that not every Yelp review a customer writes will make it past Yelp’s review filter, due to various reasons like the number of previous reviews and quality of the reviews by the user. Encouraging a customer who has never reviewed any businesses before to give your wash 5 stars is not going to make the website. That’s why creating a firm presence with your customers is important, to make sure organic reviews are done by established Yelpers who will increase your ratings. It’s becoming increasingly easier to fill out reviews through smartphones, O’Malley said, and the carwash is a perfect place for a customer to get on their phone quick, and give a great review of your business as they wait for a nice clean car. Make sure you’re doing everything to remind a customer to give you that review.